ID theft, which it is commonly called, is when a person assumes the identity ofanother, without that person’s consent for the purpose of making a profit or in some cases concealing their own identity. ID theft is one of the fastest growing crimes in the United States. Identity theft claims over one billion dollars in illegal profits at the cost of U.S. victims alone. 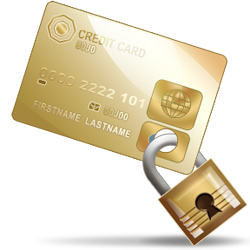 According to the FederalTradeCommission (FTC), over 9 million Americans have their identities stolen each year. The victim is usually alerted their identity was stolen by; unauthorized charges on a credit card statement, contact from a collection agency, turned down for a house or automobile loan, or when they review their credit report. In some cases, the victim does not detect that their identity has been stolen until after a year or more after it occurred. They use this information to obtain merchandise, credit, and services in the person’s name they have stolen. After this occurs, the victim is left to correct his or her damaged credit history and the difficult task of attempting to regain their good credit standing. In addition, identity theft criminals will use their victim’s name for other criminal activities like fraud, con games and related crimes. How do thieves steal your identity? The thief uses an electronic device or a “skimmer” that is designed to read the magnetic strip or what it is commonly referred to as a magstripe on your debit and/or credit card to gain your account information. The information that is encoded on the magnetic strip is the account number, name, and expiration date. Skimming can occur when you use your ATM card at the local ATM machine. At the ATM machine, a skimming device is affixed over the original card slot and when you conduct an ATM transaction your information can be transmitted wirelessly to the thief. The information the thieves collected can now be encode on a gift card they will use as a credit card. The thief looks through your trash for bank and credit card statements and any other type of documents with your personal information on it. The thief pretends to be a financial institution or a company and sends spam or pop-up messages to get you to reveal your personal and banking information. The thief obtains your personal information under false pretenses from financial institutions, telephone companies, and other sources. The thief hacks into your financial institution, steals your personal/credit information and sells it to other thieves to use. The thief steals your wallet, purse and mail. They even go as far as to bribe employees who have access to your personal information. How can you prevent ID Theft? 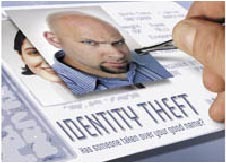 There are ways to help prevent identity theft. Invest in a good quality paper shredder. This will be used to shred all of your documents (bank/credit card statements, documents containing any personal information, etc). You will want the kind that shreds paper into confetti. This will make it virtually impossible to tape documents back together. 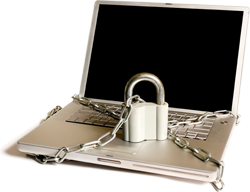 If you use your computer to do online banking, purchasing merchandise and other financial endeavors, make sure the computer is equipped with antivirus software that can provide real-time protection for your home personal computer that guard against viruses, spyware and other malicious software. 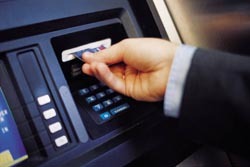 When using an ATM machine, take a close look at the card slot and give it a tug. If it does not look right or if it moves, do no use it. Go inside if the bank is open and tell them. Remember there is no guarantee that a skimming device is or is not on an ATM machine. Know who you are giving your personal information out to. If you get an email saying it is from your financial institution asking for personal information, pin number, and/or account number, delete that email. Your financial institution will never ask you for that information in an email. Call your financial institution and let them know what you had just received so they are aware of what is happening and they can alert their security department. In addition, each month go over your accounts to make sure there are no unauthorized charges. Furthermore, according to Federal law, you are allowed one free credit report annually from each credit monitoring company (Experian, Equifax, TransUnion). Stagger these reports by getting a report from a different company every few month. For more information, or to request your free credit report, go to www.annualcreditreport.com. For more information on Identity Theft protection and the many ways to protect yourself from Identity Theft, please visit Reviews.com or click on the link below. To compare reviews on the various Identity Theft Protection Services, please visit Consumer Affairs.com or click on the link below. 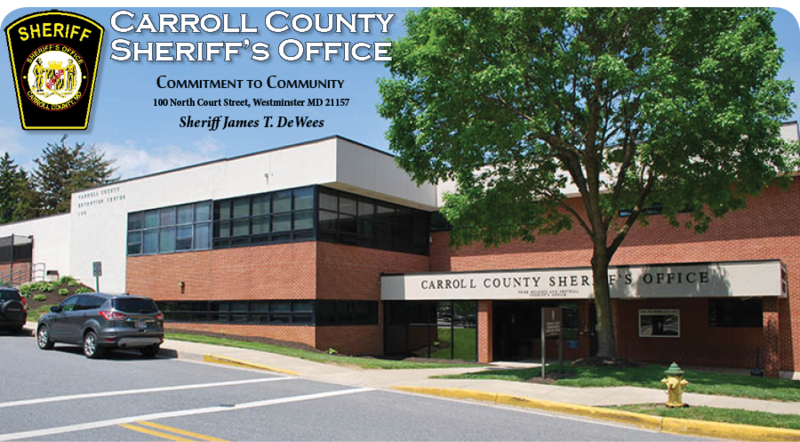 The Carroll County Sheriff’s Office is committed to recruiting initiatives that reflect a fair and impartial representation of minority groups and females among its employees and applicants in approximate proportion to the minority composition of the Carroll County community.